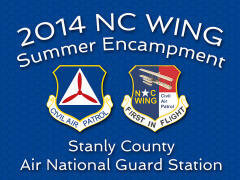 The 2014 NC Wing Summer Encampment Begins Saturday, with Encampment staff arriving Friday 20 June. Updates from the Public Affairs department will come frequently, with multiple video and picture updates as well as encampment news on a daily basis. To get the best view of the encampment please go to our encampment website at http://encampment.ncwgcap.org and like our Facebook page at http://www.facebook.com/NCEncampment as most all updates will flow though these two sites. 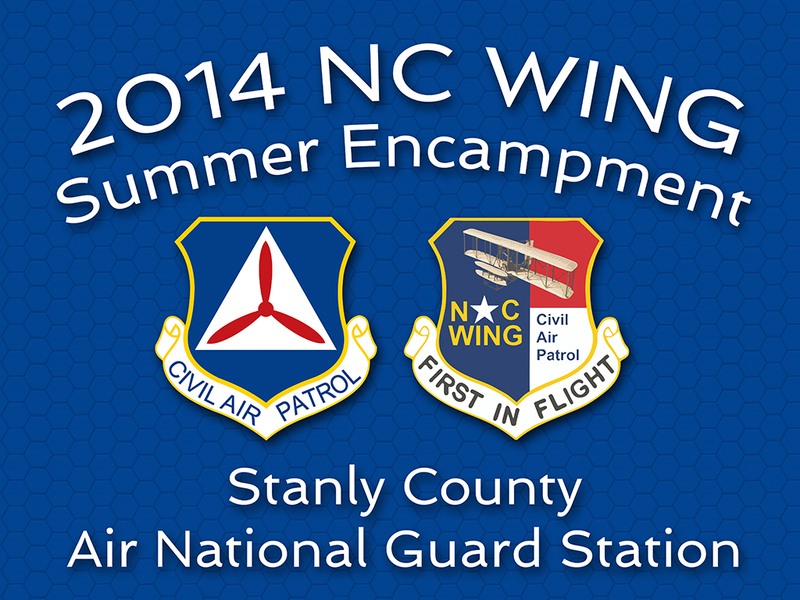 For those of you with questions you can feel free to contact the staff through Facebook or email the Encampment Public Information Officer; 1st Lt Tony Bradley at tbradley@ncwgcap.org. The address for Directions is 38268 Prime Beef Boulevard, New London, NC 28127. There will be signs at all major intersections around the airport guiding you into the event. The signs are blue with red and white arrows and marked CAP or Civil Air Patrol.